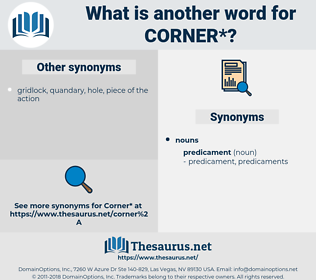 What is another word for corner? neighborhood, items, media, dive, doorstep, side, crossroads, street, block, edge, extremity, neighbourhood, quarter, part, place, door, standpoint, end, coin, piece, crossing, region, carrefour, deadlock, front. ease, solution, peace, miracle, pleasure, boon, benefit. free, let go, release, lose, allow, liberate. It would have been all over with the poor girl if she had not just then been standing in a corner, and heard everything. 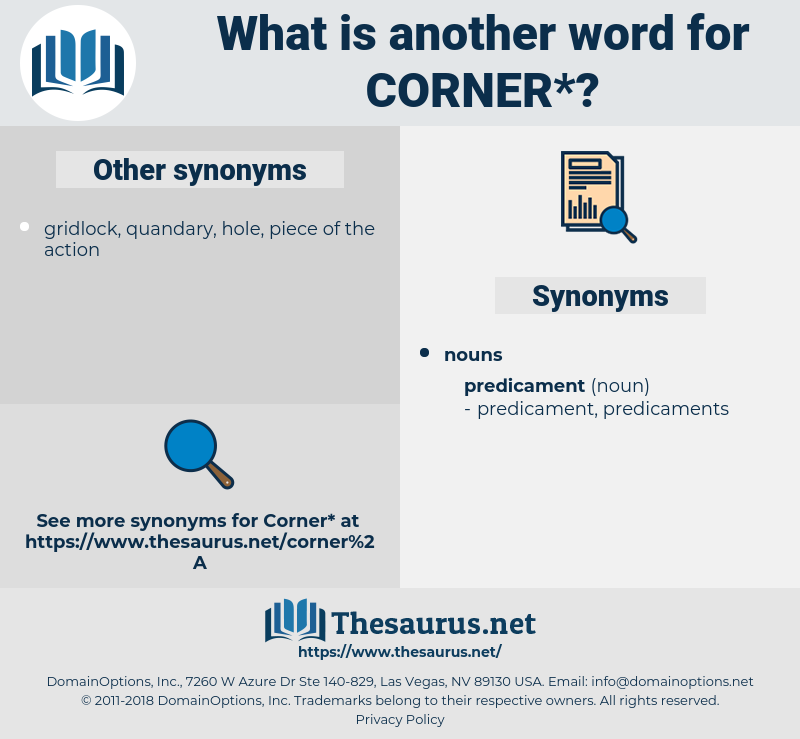 But keep your corner to yourself. coroner, koerner, korner, creamery, creamer, car mirror, coronary, crammer, Crimean War, crooner, charmer.